Advancis Omega-3 Super DHA is a food supplement in the form of mini capsules with concentrated fish oil, and a high content of Omega-3 polyunsaturated fatty acids: EPA (eicosapentaenoic acid) and DHA (docosahexaenoic acid). 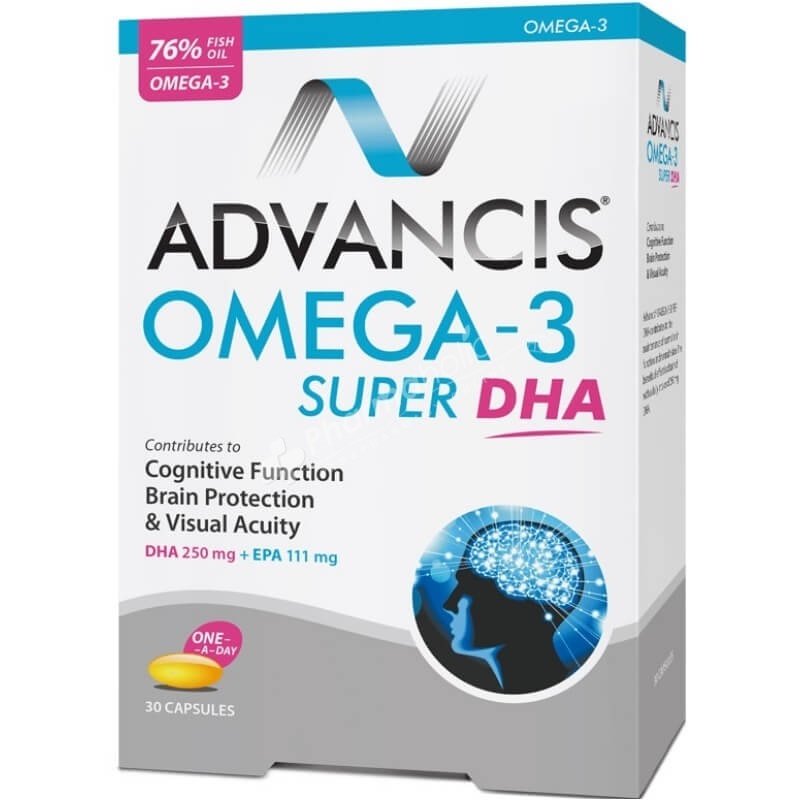 Advancis® Omega-3 Super DHA is a food supplement in the form of mini capsules with concentrated fish oil, and a high content of Omega-3 polyunsaturated fatty acids: EPA (eicosapentaenoic acid) and DHA (docosahexaenoic acid). All these ingredients are recognized for their benefits in all ages and in the different life stages. DHA and EPA are essential nutrients that assure a balanced and healthy development. They cannot be synthesized by the body, thus they need to be obtained through food and/or supplements. They can be found in large quantities in cold water fish and fish oils.